Kenneth R. Krause, 77, Breckenridge, MN, formerly Wyndmere, ND passed away on Monday, March 11, 2013 at St. Francis Healthcare Campus, Breckenridge, MN. Funeral services will be on Friday, March 15 at 2:30 PM at Willow Creek Chapel, Wahpeton, ND. Visitation will be one hour prior to the service. Interment will be at Elk Creek Cemetery, Wyndmere in the spring. Arrangements are entrusted to Vertin-Munson Funeral Home, Wahpeton, ND. 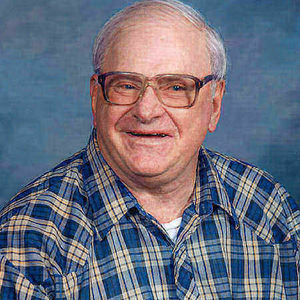 Kenneth was born on May 8, 1935 in rural Mantador, ND the son of Theodore and Ella (Rohl) Krause. Ken grew up and attended school in Wyndmere, ND. He did road construction work for Collins Construction and Gutzmer Construction and also worked for Bobcat and Kimberly-Clark in Breckenridge. Kenny moved to Dakota Estates in Lidgerwood, ND in 1990 and lived there until he became a resident of St. Francis Home in Breckenridge in 2006. Kenny was always very appreciative of the help he received from his caregivers. Ken was a member of Wyndmere Lutheran Church and the Wahpeton Eagles club. In his youth, Ken enjoyed fishing, hunting, and traveling. He also enjoyed watching sports, listening to all kinds of music, walking, doing ceramics, and visiting with family and friends. He loved his Lord and was saved by grace. Ken is survived by his brothers, Vern (Jean) Krause, Wahpeton, ND, Leyone (Marleen) Krause, Lidgerwood, ND; his sisters, Lucille Kruchek, Wahpeton, ND, Carole Jean Bohlken, Fargo, ND, LaVelle (ElRoy) Odegard, Gwinner, ND; and many, many nieces and nephews. He was preceded by his parents, Theodore and Ella Krause; his brothers Alfred, Willard, and Donald Krause; his sisters, Loretta Dable, Dorothy Peterson; his brothers-in-law, Allen Kruchek, and Willis Bohlke; his two nieces; and two nephews. LaVelle, Elroy, and family of Kenny. I just wanted to express my sympathy to you all. I got to know Kenny at St Francis Home, while my mother, Lois Hendrickson, was a resident there. Kenny was always so friendly, and had a "good morning" for me each day. We would always have our little visit, and he would smile his famous smile. He would always ask how Mom was doing. What a guy he was. God bless his memory.